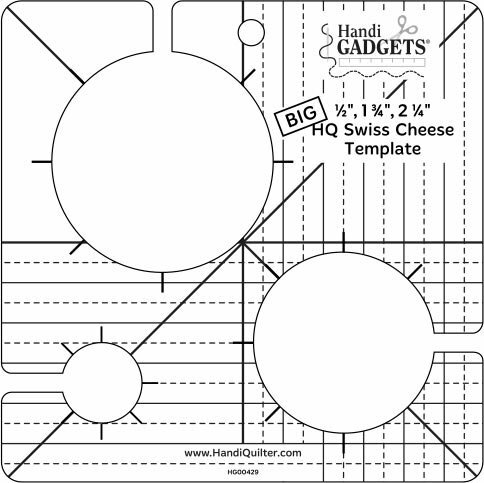 The Big HQ Swiss Cheese Template was featured for the second part of our "Ruler of the Month Club". This product features 3 different sized circles (1/2", 1 3/4", 2 1/4") all in one template. Dimensions: 7 x 10 x .5 in.